Home » Latest News » Why Use A Storage Facility? If you are planning to move home or perhaps don’t have enough available space in your property, you may be in desperate need of an effective storage solution. This is where storage facilities and self storage units come in handy. But why are more and more people opting to use a storage facility? One of the primary reasons people tend to use storage facilities is because they are looking to either save space in their property or for a place to store belongings when moving home or premises. With delays occurring within the housing market, it’s very likely that you may end up selling your property before you new premises is ready for you to move in yet. 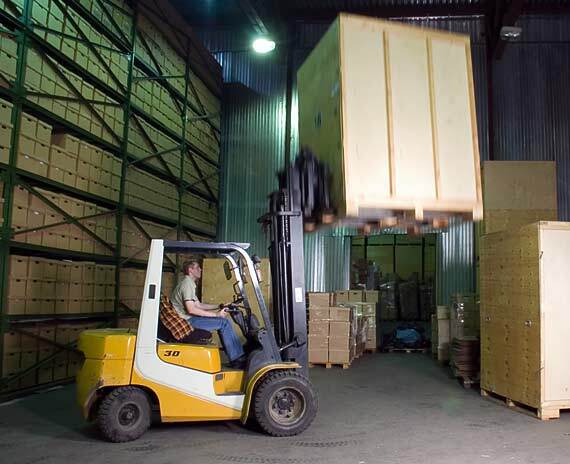 This can be an extremely frustrating situation, therefore, using a storage facility for your goods is inevitable. If you are planning to renovate your existing home, the use of a storage facility may be the perfect solution. Especially if you’re going to be knocking down walls, tearing up carpets or carrying out any tasks that your furniture could disrupt and potentially suffer from damage. Using a storage facility is ideal to store away these goods whilst you carry out your home renovation. Self storage units are a brilliant short-to-long term solution, considering that you have access to your unit 7 days a week in a secure premises. Storage facilities tend to incorporate a 24-hour CCTV system, ensuring the security of your goods. You can, therefore, rest easy knowing that your goods are in safe hands. If you are based in Luton or in the surrounding areas and are in need of a reliable storage facility, W.J. Edwards is more than happy to discuss your storage needs. If you would like to learn more about our storage units and our storage facility, contact our friendly team today on 01727 298086 or fill out our contact form.